Check out one of the first 2015 in California. I will be speaking at it on Saturday February 28 at 11:45am-1:10pm on “iPad Apps To Treat Speech Difficulties”. Please take a few minutes to learn about COPPA. Become more aware of what is happening and please pass it along to others! Websites that are collecting information from children under the age of thirteen are required to comply with Federal Trade Commission ( FTC ) Children’s Online Privacy Protection Act (COPPA). 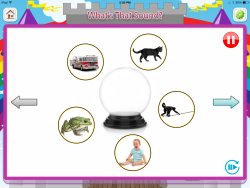 The Speech Wizard has released a LITE version of “Sounds With The Speech Wizard” to allow everyone to try it before you buy it. 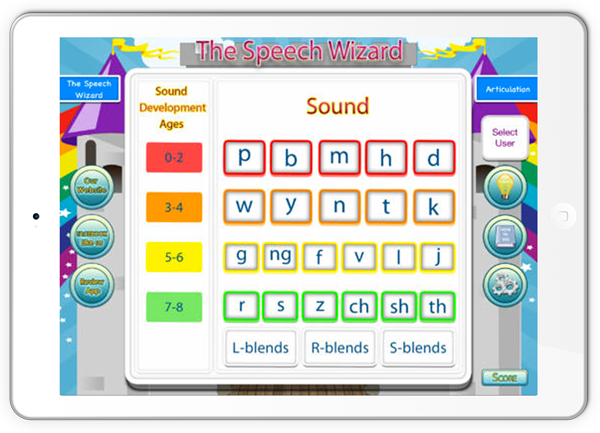 Sounds With The Speech Wizard was created to improve listening skills through our variety of auditory discrimination activities. 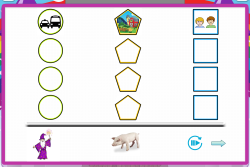 It offers many different settings to adjust the perfect amount of stimuli for each child. It also has the ability to de-select pictures if necessary. Each Activity offers a fresh new game-like activity for the child to practice their listening and sound recognition skills. This is a critical step in remediating articulation and phonological disorders. If the child is not being a good listener, they will not realize that they are making any errors of their own speech productions. This is just a fun way to increase their awareness to help carryover and to improve their listening to their own speech sounds. TIP: This app is also a great therapy tool for teaching children to answer Yes/No in a reliable manner. You may use the four pictures on What Do You Hear- Activity 1 and ask the child after the sound is played if each picture made that sound… “yes or no”. It works wonders in our private practice! We made certain that this app offered buttons to advance and reverse back to images in case “little fingers” change it for us. The other great feature we are proud to include is our Free Bonus Training Video Series to give our customers added support when they buy our apps. These videos include learning more about the iPad as a therapy tool and apps to use for communication delays/disorders, how to use Guided Access, and some therapy techniques. As part of our mission to help families with children that have communication delays/disorders worldwide, we offer this app in 6 languages including: English, Mandarin, Spanish, Persian, Japanese, and Korean.